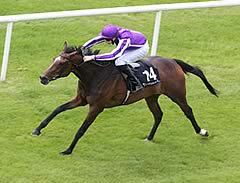 Aidan O'Brien's Was claimed victory in the Investec Oaks at Epsom in the hands of Seamie Heffernan. The 20-1 chance was ridden positively in the early stages of the mile-and-a-half contest, just tracking the early pace set by Nayarra, with stablemate Twirl also well to the fore. Leading fancy Vow ranged up to make a race of it at the top of the home straight, but Was quickened best of all against the far rail to take top honours by a neck from Shirocco Star, with favourite The Fugue coming from a long way back to claim third and Vow fourth. Was won her only juvenile appearance at the Curragh last August, but was beaten into third in last month's Blue Wind Stakes at Naas. Heffernan said: "I had enough horse to take two lengths when I needed it. I've been very lucky in these colours and I have the owners to thank for trusting me. I was on the bridle and had plenty of petrol. When you have plenty of petrol you can go where you like." O'Brien was securing his fourth Oaks success, with his last victory in the Epsom Classic arriving with Alexandrova in 2006. The master of Ballydoyle was also preserving his unbeaten record in British Classics this term after Camelot and Homecoming Queen struck in the 2000 and 1000 Guineas respectively. The trainer said: "Seamus gave her a lovely ride, she came on lovely from her first run so we were delighted. She's a very good looking filly with a great pedigree. He's a great fellow, Seamus, a world-class jockey. He knows all these horses inside out and and nobody deserves it more." He added of Maybe, who ran on to take fifth: "She ran well, she was coming there and coming there, but a mile and a quarter might be as far as she wants to go." 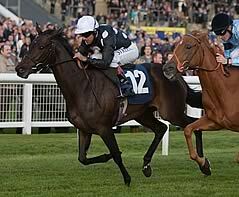 Darryll Holland, rider of Shirocco Star, said: "I don't think she was unlucky. The way the race was run it was a bit tactical. The winner had the rail and kept outbattling me towards the end. Hughie Morrison, trainer of the second Shirocco Star said: “Maybe if they had gone a bit faster she would have won, she is a cracking filly and a credit to herself. Harry Hebert, Managing Director of Highclere Thoroughbred Racing, was delighted with Vow’s fourth in the Investec Oaks. The daughter of 2005 Derby winner Motivator belied her inexperience and just led the field two furlongs from home, but couldn’t maintain that advantage. Herbert commented: “Vow has run a terrific race and Johnny (Murtagh, jockey) said that the slow pace may not have suited her and she also hasn’t entirely handled the track. 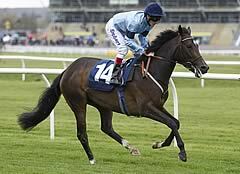 “However, she has run a brilliant race and two furlongs out I thought she was going to win and so did the jockey.